Personal finance questions abound across the web, people inquiring about their finances once they’ve ended up in a pickle. Often finding they are without answers to some of the most basic questions of money management. We’ve compiled a list of the bare minimum that everyone should know about his or her money in order to prevent losing it. Both homeowner and renter insurance policies cover a vast array of potential calamities that may befall your dwelling, including, but not limited to accidents, weather damage, fire, and theft. When surveyed many Americans were not able to answer basic questions regarding their coverage. At the most basic you should find know or find out your coverage amount, how your possessions are valuated and whether you are adequately covered. If the housing bust of the last decade taught us nothing, it taught us that everyone should know the rates and terms of their mortgage. Many homeowners were surprised when their rates adjusted astronomically as specified by the terms of their loans. Nothing that happens regarding debt that you have acquired should come as a surprise. It is financial irresponsible to have debt and not know the terms associated with the borrowed funds. It’s also important to know these terms to ensure that you are getting the best terms available for your debt. With 3.5, credit cards per American household, knowing your rates and rewards structure has never been more important to personal financial success. Between mainstream bank credit cards and store cards, consumer credit debt leverages some of the highest rates in the industry – some exceeding 20 percent. If you have more than one credit card in your wallet, one late payment will send your financial house of cards to the ground as if penalty rates are applied to your cards. If you feel that you’re sinking under high-interest rates, consider transferring your balance before you ruin your credit and lose the ability to receive favorable offers. 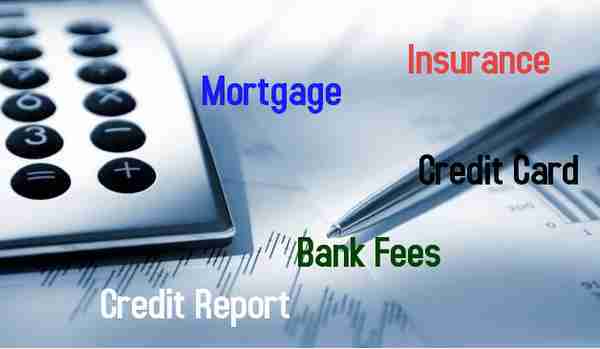 With employers, rental and insurance agencies often checking your credit worthiness, how can you not know your score? Your credit score speaks for you whether you like it or not, so monitor your score to ensure it’s error free and positive. If you find errors, get to work correcting them across the reporting agencies. Having a positive score will save you money if you decide to shop for loans or credit in the future. Bank fees can add up quickly and be a significant hit to your monthly budget. If you don’t know what your bank charges are, begin by accessing your institution’s fee schedule and monitoring your account. If you find that you are paying for overdraft or ATM fees – meet with a bank representative to make appropriate account changes. Often by choosing a prime checking accounts or maintaining a minimum balance you can avoid these fees. If your bank does not offer opportunities to forego these fees, you should begin shopping around for one that does.